Scarce, early embossed tin litho sign for White Loaf brand baking powder. 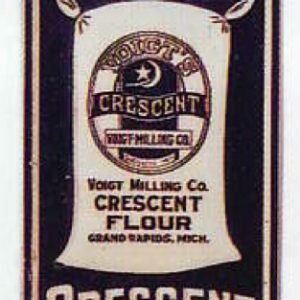 SKU: 76-107. 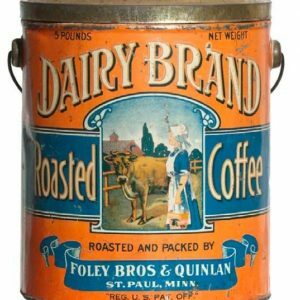 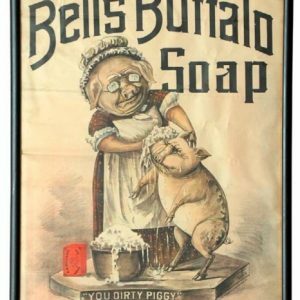 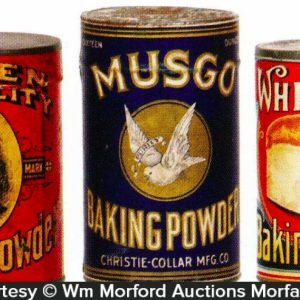 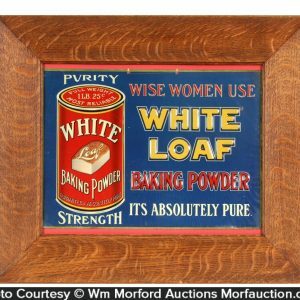 Categories: Antique Signs, Baking (Powder/Flour/Cocoa/Oats). 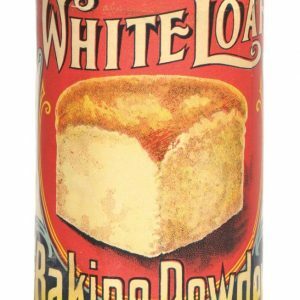 Company/Brand: White Loaf Baking Powder. 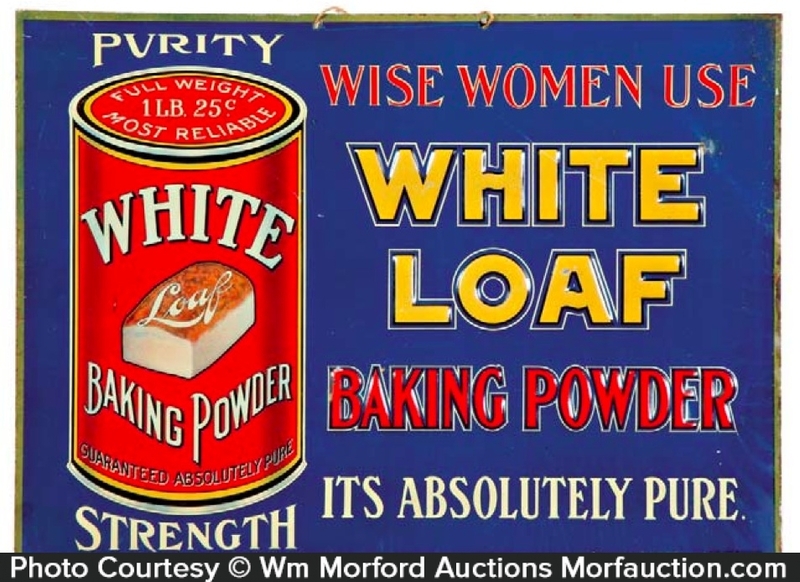 White Loaf Baking Powder Sign: Scarce, early embossed tin litho sign for White Loaf brand baking powder. 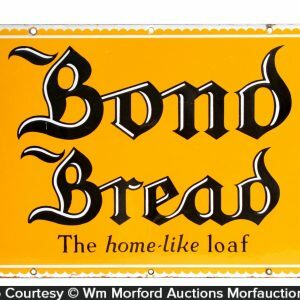 Powerful and impressive looking piece is clean, bright and excellent overall (appears never used and displays as a C. 8.5/+), w/ only minor scattered storage wear (tipping in light just right will reveal just a trace hint of barely noticeable hazy pattern from protective storage paper that is usually found on this style of sign) -mentioned for accuracy, nothing that is at all offensive or detracting.